The "Holy Mole" hot dog at JCI is tasty but weird. So what do you like on your hot dog? How about mole poblano, chicken tinga, crema fresca, queso fresco, minced onions, a sprinkling of sesame seeds and sliced radishes for a garnish? 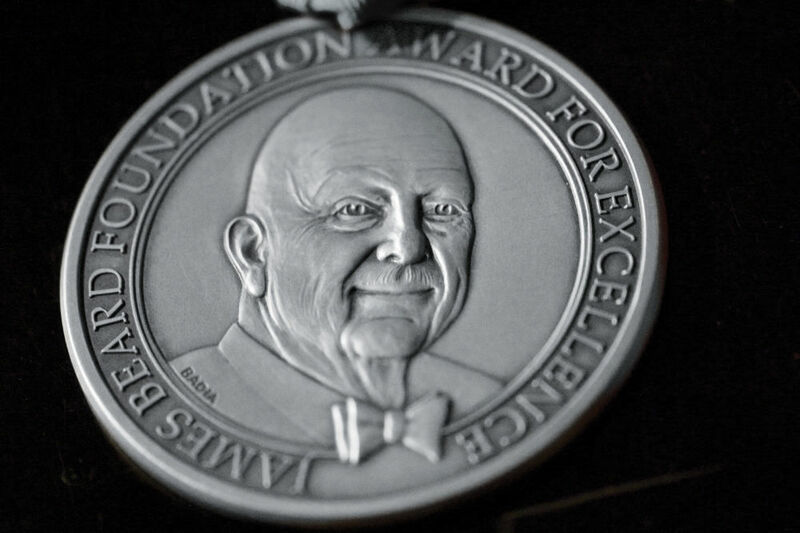 Oh, and make it a chicken and andouille weiner, while you're at it, and put that all on a toasted Slow Dough pretzel bun. 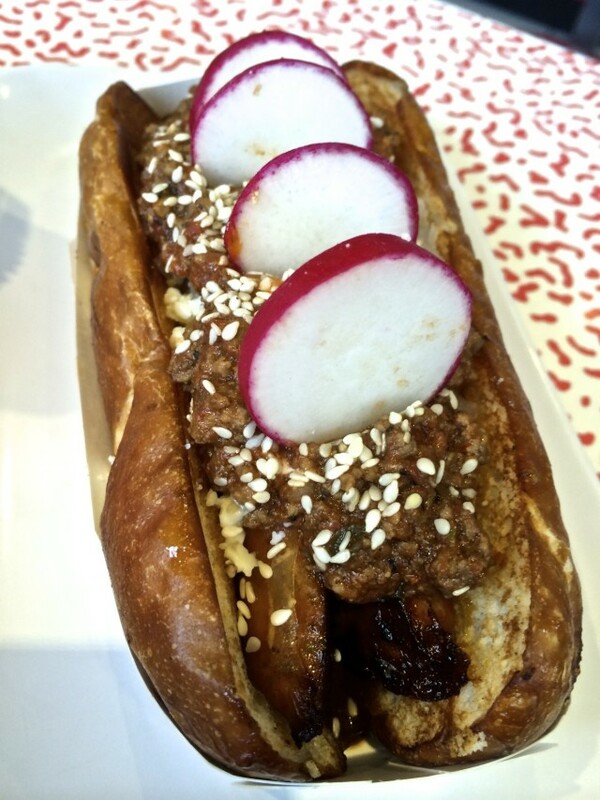 That's what Chef Hugo Ortega put on the Holy Mole Hot Dog, this month's Show Dog at James Coney Island locations. It's a tasty concoction, and the poultry and mole combination is a festive holiday twist. But to enjoy it, you have to free your mind from the idea that you are eating a hot dog. Because the Holy Mole doesn't taste anything like a hot dog. Whether that is a good thing or a bad thing is a matter of your own personal preference. 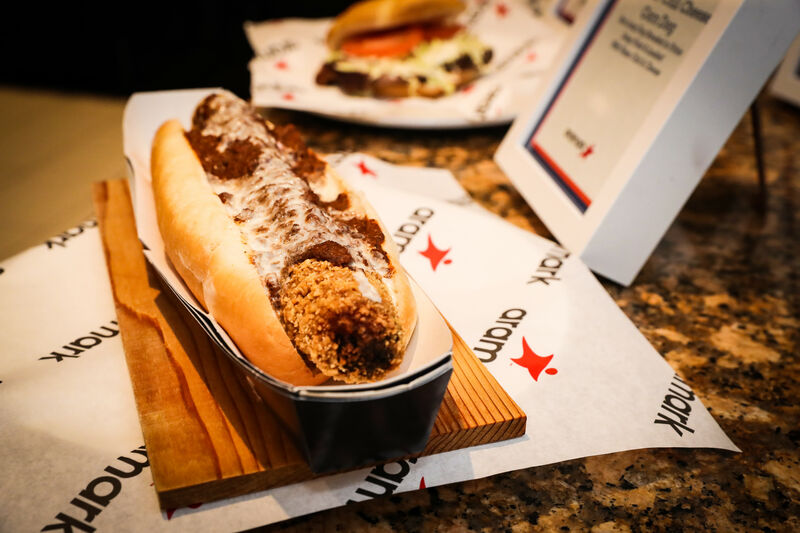 JCI’s "The Chefs and Show Dog" series enlisted six Houston chefs to come up with signature hot dogs as part of the celebration of the chain’s 90th anniversary. 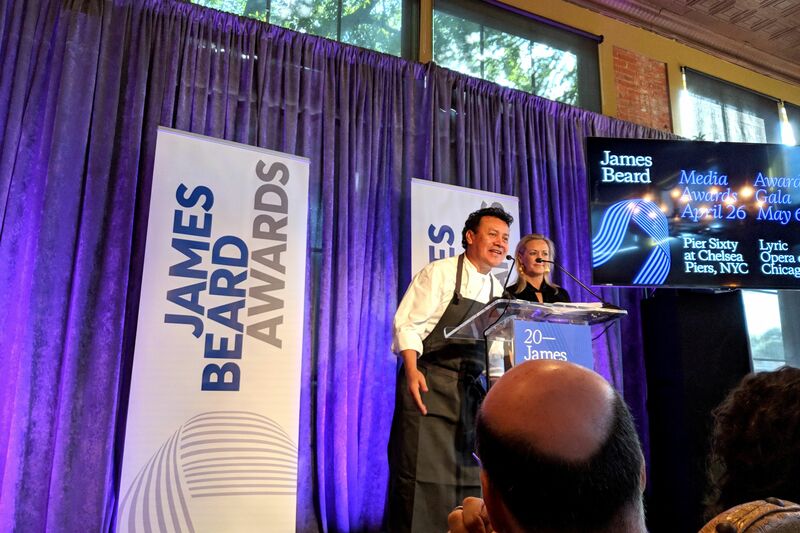 The chefs were John Sheely of Mockingbird Bistro, Haven’s Randy Evans, Eatsie Boys’ Matt Marcus, Manabu Horiuchi of Kata Robata, Monica Pope of Sparrow, and Hugo Ortega of Hugo's. 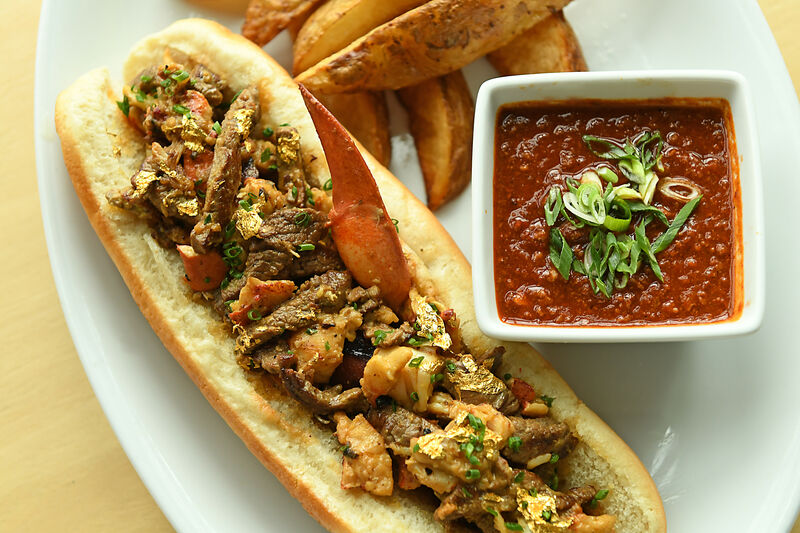 The Holy Mole dog will be available at all JCI locations until the last day of November.